NHL Draft Lottery: How Often Does Last Equal First? With so much talk about Jack Eichel and Connor McDavid, tanking and the NHL Draft, lets take the time to examine the history of the NHL Draft Lottery. What are the historical results of the lottery and how often has the worst team actually gotten the first-overall pick? 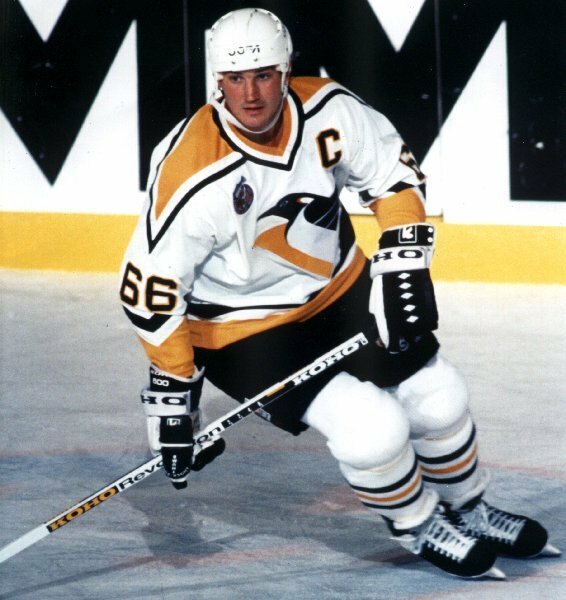 Mario Lemieux, Father of the Lottery? The 1984 NHL season included one of the most intriguing races in the league’s history. Unfortunately, that race was for last place between the Pittsburgh Penguins and New Jersey Devils. The two teams had their eyes on a dynamic QMJHL prospect by the name of Mario Lemieux. Although many teams have been accused of tanking, the Penguins wound up finishing last with what many claim to be the most egregious and purposeful tank jobs in NHL history. They draft Super Mario and forever changed the course of hockey in the Steel City. Check out TSN’s Playing to Lose to learn more about the saga. To the surprise of no one, the NHL introduced the draft lottery in 1995 to safeguard against teams intentionally losing to move up the board. The lottery has always only included non-playoff qualifying teams. Originally, the lottery winner could only move up a maximum of four places, meaning only the five worst teams could potentially get the first-overall pick. Of course, the lottery was waited towards teams at the bottom. In 2013 the limitation of only being able to move up four spots was eliminated, giving the lottery winner the first pick. And, the NHL is in the midst of continuing to reform the lottery. The lottery chances are now more evenly distributed, illustrated in the table below. This is part of a gradual process that will include further changes in 2016. Starting next season, the draft lottery will be used to determine not just the first pick, but the first three picks, meaning the last place finishing team could potentially pick as far down as the number four spot. The percentages will remain the same as they are now. Now that protocol of the lottery is understood, now lets take a look at how often the lottery has altered the order of the draft. The below chart depicts the historical results of the lottery (stick tap to TSN for the insights). 1995 Ottawa Los Angeles Ottawa Bryan Berard Although Los Angeles won the lottery they could only move up four spots to the 3rd pick, thus Ottawa held onto the first pick. 1998 Tampa Bay San Jose Tampa Bay Vincent Lecavalier San Jose won the lottery, but Tampa Bay held the right to swap first round picks with the Sharks and did so to select first. 1999 Tampa Bay Chicago Atlanta Patrik Stefan Although Chicago won the lottery they could only move up four spots to the 4th pick, which eventually wound up with the Rangers through a series of trades. As a new franchise, Atlanta was given the first pick. 2002 Atlanta Florida Columbus Rick Nash Florida won the lottery, but then traded the first pick to Columbus. 2003 Carolina Florida Pittsburgh Marc-Andre Fleury Florida won the lottery, but then traded the first pick to Pittsburgh. 2005 – Pittsburgh Pittsburgh Sidney Crosby The 2004-05 season was cancelled due to the lockout and all 30 teams were entered in the lottery. 2011 Edmonton New Jersey Edmonton Ryan Nugent-Hopkins Although New Jersey won the lottery they could only move up four spots to the 4th pick. So since 1995 the worst team has won the lottery six times (not including times when teams not eligible to pick first won the lottery). What makes this season especially interesting is there are two elite prospects up for grabs in McDavid and Eichel, meaning the last place finisher is guaranteed one of them. As we march toward the final stretch of the regular season, for this year’s basement dwellers, may the odds be ever in your favor.